These Gameday boots are killer! Allen Boots is are offering a variety of team boots for men and women. The craftsmanship and leather is top quality on these babies. 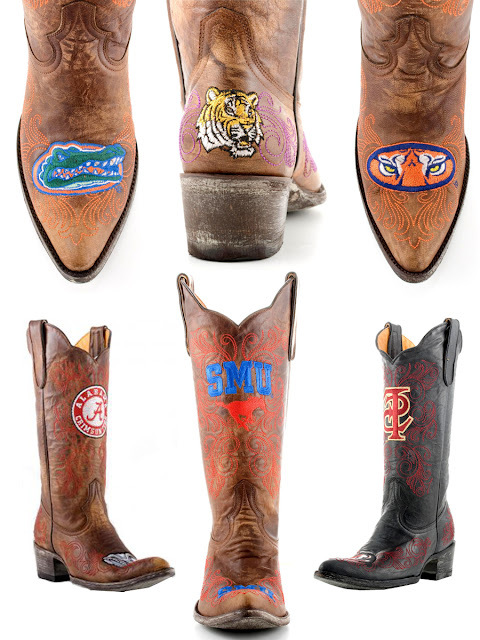 I can imagine a number of my Gameday outfits that would wear perfectly with a pair of these boots. They are a perfect way to enhance your Gameday style. Who has a birthday coming up? I know I do! These are the boots I've been looking for. I have seen similar ones in Clark shoes for sale online.